Normand Papineau 1925 – 2015 | M.Afr. Normand was born on the 2nd December 1925 at Farnham, Québec Province, Canada. The Brothers of Christian Instruction in Farnham looked after his primary schooling. He went to St. John’s College, Iberville for his secondary education after which he studied Philosophy at the Diocesan Seminary of St. Hyacinthe. In 1947, he applied to join the Postulancy of the White Fathers at Everell, near Québec. In his application letter to the superior, he wrote, “For a long time, I wanted, one day, to be a missionary in the Society of White Fathers of Africa. I know that I am not worthy of such an honour. However, as a sign of my right intention, I bring you today all the good will I can muster. I await your reply with impatience which I am sure will be positive.” These words express very well the fervent desire of Normand to become a White Father and his attachment to his missionary vocation. In fact, when he was studying at St. John’s College, during the Second World War, he made it known to the authorities of his wish to join the White Fathers. His superiors received this wish badly, no doubt because of the great need for diocesan priests. Normand discretely withdrew from St. Johns’ and went on to study Philosophy at the Seminary of St. Hyacinthe in fidelity to the vocation he profoundly believed to be his. Normand began his novitiate at St-Martin de Laval, near Montreal on 12th August 1948. His calm temperament, his devotion to studies and manual work and his discreet charity towards all were among the things that stood out in his character. Towards the end of the novitiate, he readily volunteered to go to Great Britain to study Theology. He wrote to the Novice-Master, “As for the sacrifices that his departure would cause, I will offer them as generously as possible, knowing when one gives oneself, there is no going back.” His request was not granted, but he was happy enough to go to Eastview, near Ottawa a few months later for his theological studies. In the Scholasticate, Normand continued to apply himself seriously to his studies. He was discreet and pleasant with all his confreres and he did not spare himself in the service of others. He took his Missionary Oath on the 23th June 1951 at Eastview and he was ordained priest there on the 27th January 1952. In August 1952, he was in London to study for a Diploma in Education and the following year, in June 1953, he arrived in the Parish of Ilondola in the Diocese of Abercorn (now Mbala) Northern Rhodesia (now Zambia). Just three days after his arrival, before he had even unpacked his trunks, never mind studying Bemba, he was appointed Headmaster of the Upper Primary School of Ilondola! One can understand his disappointment. “I would have preferred an appointment with fewer responsibilities in order to have more time to learn the local language. After work at the school, I made a big effort to visit the people in the villages and at night, I studied the rudiments of the Bemba language and its grammar. Happily, I was able to pass the language exam and received my jurisdiction (to hear confessions) during Lent.” In 1954, Fr. Papineau was appointed to the Junior Seminary at Kantensha. During the school holidays, he took the opportunity to pass some days in each parish of the diocese, do some pastoral ministry, deepen his knowledge of the language, and where possible meet the parents of his seminarians. These two first appointments were the beginning of Fr. Papineau’s long career of nearly 40 years in teaching and training, as teacher and rector in different seminaries and with occasional interludes for work in parish ministry. In a letter addressed to the Superior General, Normand reminded him of his keen wish to spend some years in parish ministry and to have more time to get to know better the customs and proverbs of the people. In June 1957, he received an appointment as curate in Kayambi Parish. However, three months later, the Bishop appealed once more to his generosity to take up the post of Rector at the Junior Seminary of Kantensha. In 1963, he did the Long Retreat in Villa Cavaletti near Rome. In his long career as formator of seminarians, one event stands out in his life. In 1983, when he was still at the Junior Seminary of Lubushi, there was a major crisis at the Senior Seminary of Mpima. Dissension and divisions had sowed a great deal of mistrust among the seminarians. The Bishops’ Conference asked Normand to take on the responsibility of being rector. With his habitual modesty and availability, our confrere accepted this delicate mission. For the next three years, he directed this institution with tact and wisdom. Fr. 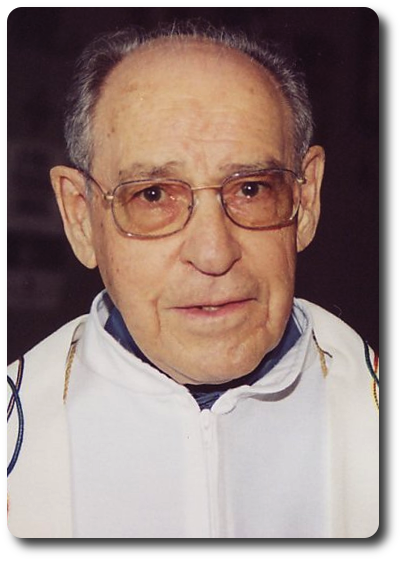 Germain Lafontaine (+2004) who was in Zambia at the time and who knew Normand well had this reflection, “The situation needed a man of great insight and a peacemaker, such as Fr. Papineau, to restore a better spirit in this major seminary.” Normand returned definitively to Canada in 1993. For a number of years he was suffering from the after-effects of malaria and he had serious stomach problems. After receiving treatment, he accepted, in the following year, the post of superior in the community of Moncton in New Brunswick where with two other confreres, he worked in parish ministry and mission promotion. In 1999, Fr. Papineau was appointed to Sherbrooke as Assistant Superior in our White Father community. He exercised this responsibility for three years before finally taking a well-earned retirement in the same house. He was to stay there until 2010. Sometime later, Normand was seriously troubled by a macular degeneration of the eyes, which resulted in partial blindness. Moreover, he was rapidly getting weaker and his health demanded constant attention. As he needed a lot of medical attention, he accepted to go to the Infirmary of the Capuchins Fathers in Montreal. He died there on the 18th December 2015. The funeral Mass took place in the Chapel of the Missionaries of Africa at Sherbrooke on the 23rd December and he was then buried in the Missionaries of Africa plot in St-Antoine Cemetery. Fr. Richard Dandenault, who knew Normand well, gave the homily at the Funeral Mass. “Normand was a man of small virtues lived on a daily basis without any pretentiousness or ostentation. He wanted to be a sacramental presence every day, in the middle of frustrating problems of health with their permanent quota of suffering. Those who visited Normand recently would have found him bedridden, hardly able to speak. He could only offer what he was, a hidden witness of the sacramental presence of the suffering Christ in a situation not of his choosing. He was always a missionary, giving the best of himself like the attentive servant waiting for the return of the master in the Gospel (Lk 12, 35-40).